NO SCHOOL ON FRIDAY, APRIL 19TH FOR STUDENTS AND STAFF - ENJOY YOUR 3-DAY WEEKEND! 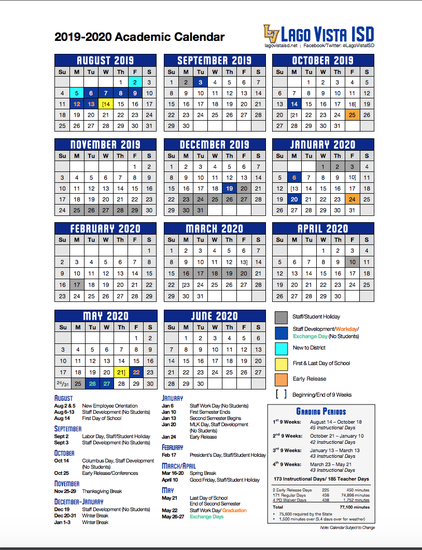 As we get closer to wrapping up an amazing 2018-2019 school year, plans for the 2019-2020 school year are already in progress! Student enrollment plays a huge part in staffing decisions each year, so we need your help with your plans for next year. A form is coming home in today's Friday folder called "Are You Returning? ", please fill the form out and return to the front office on or before Friday, May 3rd. If you have a child entering kindergarten in the fall, we invite you to an informational meeting with the kindergarten teachers on Tuesday, April 16th at 6:00 pm in the library. Since the purpose of this meeting is to walk through a typical day in a kindergarten classroom, give strategies on how to prepare your child this summer for a successful year, and answer any questions you may have, we ask that children not attend this meeting. Incoming kindergarten students will have a chance to meet teachers at Kinder Camp on August 2nd from 9:00 am-11:00 am. A sign up sheet for Kinder Camp was available at PK/Kinder Round Up. If you were unable to attend PK/Kinder Round-Up, it's not too late to register! 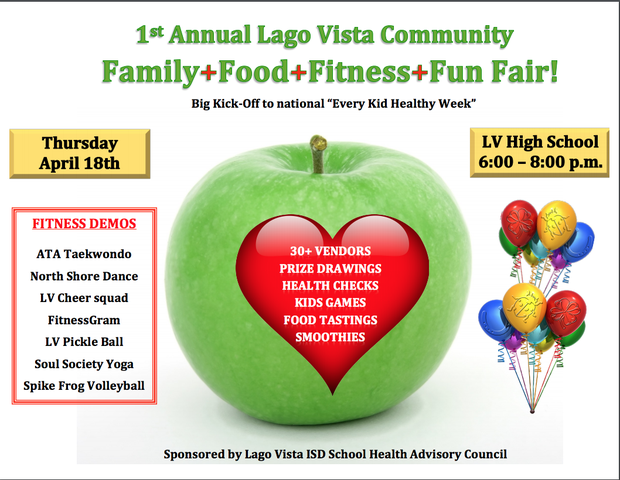 You can contact our registrar, Veronica Fidencio (veronica_fidencio@lagovista.txed.net), to set up a time to come by and enroll your incoming PK or Kinder child. 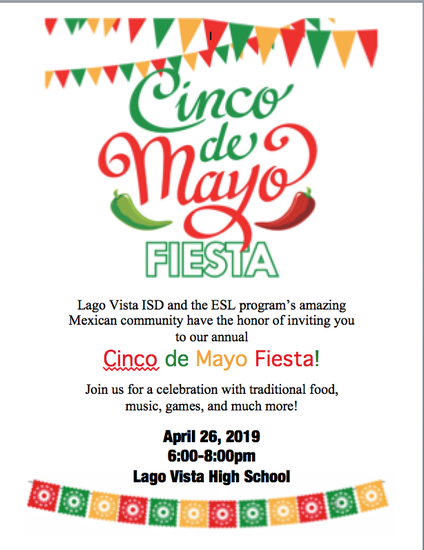 LVISD 5th Annual GT Showcase is April 18th from 6:00-7:30 pm at the MAC at LVHS. GT students across the district have been working very hard on their showcase projects and are excited for the community to stop by and visit with them about their projects. Summer school dates for this year will be June 3rd-13th from 8:30 am-11:30 am, Monday through Thursday. Only one summer school session will be offered this year. 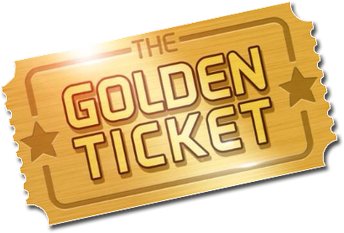 If your child needs to attend summer school for academic and/or attendance reasons, you will receive an invitation within the next couple of weeks. If your child receives an invitation to attend summer school, please make sure your child attends all summer school dates. In some cases, promotion to the next grade level depends on successful completion of summer school. Tuition-Based Pre-K Applications Still Accepted! We are currently accepting applications for our Tuition-Based Pre-K program for the 2019-2020 school year. This is a wonderful program that will prepare your child for success in kindergarten! Space is limited in the Tuition-Based Pre-K Program, so be sure to get your application in on or before May 1st. 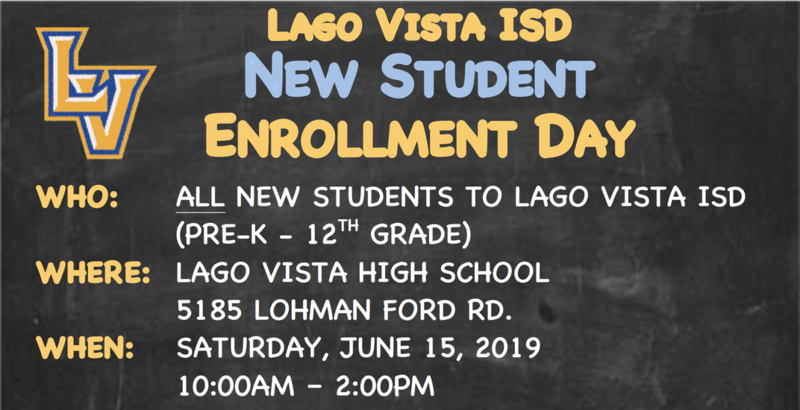 LVISD New Student Enrollment Day - Save the Date! *Parents who registered their child at Kindergarten/Pre-K Roundup do NOT need to also go to this enrollment event. 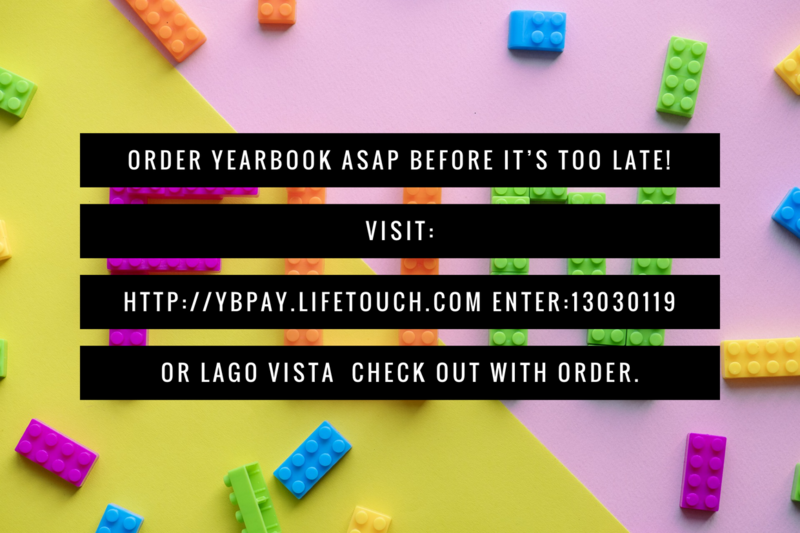 Order your yearbook ASAP! Your order helps financially support PTO which funds fun events for your children throughout the school year. Then proceed to checkout with order. if you have any issues or can’t place an order online. Thank you for your support in Yearbook! Lots of jackets, lunchboxes and other items are still unclaimed in the Lost and Found box. If your child is missing an item, please have him/her check the Lost and Found box in the cafeteria. All unclaimed items will be donated at the end of the year. 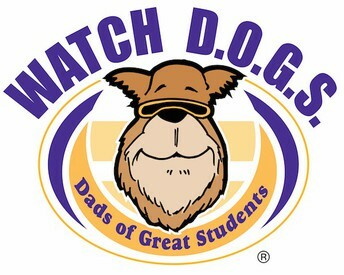 Thank you to following Watch DOGs for being on campus and being an extra set of eyes! 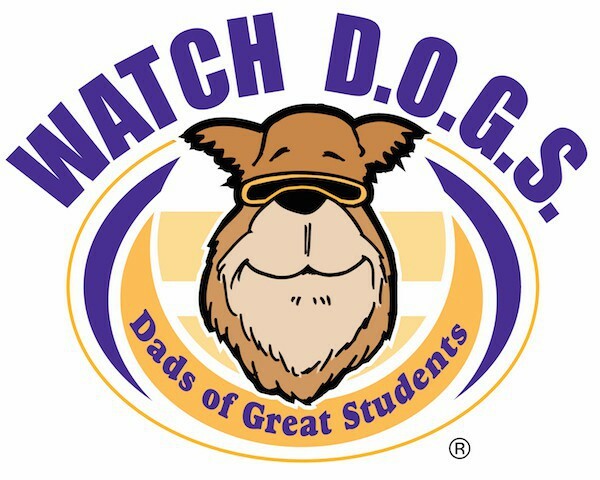 If you are interested in signing up to be a Watch DOG, please contact Ms. Howard (missy_howard@lagovista.txed.net) to check available dates. Took a slight dip this week, but we still had one grade level that met our attendance goal! 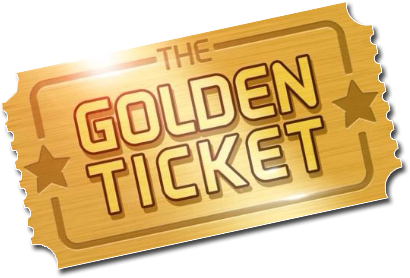 3rd Grade: 97% - Great job of meeting our attendance goal for the second week in a row! Set high standards for yourself and stick to them. Students will learn more about Integrity in Guidance with Mrs. Sexton! I would like for everyone to know about my collection of books that are available for parents and guardians to check out to read at home with their children. I have a broad variety of topics to choose from, and I am happy to offer suggestions as well. It could be an issue they may need a little more help with understanding and would benefit from having a parent, guardian, or sibling read with them at home about it. Some of the topics include: problems at home, divorce, new family dynamics, grief, problems at school, self esteem, friendship issues, or test anxiety. In addition to these topics, I have several for each of the character traits we learn about during our guidance classes, such as: responsibility, respect, caring, fairness, trustworthiness, and integrity. I am always adding to my collection, so if there is a particular topic you are interested in, please let me know! I am happy to send a book home with your child to borrow, just send an email with your request to: amy_sexton@lagovista.txed.net . And remember, there are so many benefits of reading with your child! Reading together promotes increased communication between you and your child, it can help calm children, and help to improve their listening skills. Let me know how I can help! Me gustaría que todos supieran acerca de mi colección de libros que están disponibles para que los padres y tutores puedan leer en casa con sus hijos. Tengo una amplia variedad de temas para elegir, y me complace ofrecer sugerencias también. Podría ser un problema que necesiten un poco más de ayuda con la comprensión y se beneficiarían si un padre, tutor o hermano lea con ellos en casa sobre esto. Algunos de los temas incluyen: problemas en el hogar, divorcio, nuevas dinámicas familiares, duelo, problemas en la escuela, autoestima, problemas de amistad o ansiedad ante los exámenes. Además de estos temas, tengo varios para cada uno de los rasgos de carácter que aprendemos durante nuestras clases de orientación, tales como: responsabilidad, respeto, cuidado, imparcialidad, confiabilidad e integridad. Siempre estoy agregando a mi colección, así que si hay un tema en particular que le interesa, ¡hágamelo saber! Me complace enviar un libro a casa con su hijo para pedir prestado, solo envíe un correo electrónico con su solicitud a: amy_sexton@lagovista.txed.net. Y recuerde, ¡hay tantos beneficios de leer con su hijo! Leer juntos promueve una mayor comunicación entre usted y su hijo, puede ayudar a calmar a los niños y mejorar sus habilidades para escuchar. ¡Déjame saber cómo puedo ayudar!